Mozilla announced on Tuesday that it’s offering five-figure grants to researchers and creatives studying the impact of artificial intelligence on society. 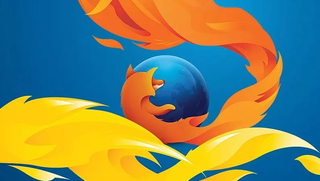 This latest round of the annual Mozilla awards will net lucky winners up to $50,000 for producing AI-awareness content: videos, browser extensions, or interactive data visualizations. The problems of AI are legion: YouTube’s algorithms have been criticized for harming children by introducing them to hugely inappropriate content, Facebook’s content-moderating AI exacerbates fake news, while Google employees staged a series of public protests after a Gizmodo report uncovered its AI was being used by the US military. Complex societal issues, racism, misogyny, militarism, etc. are being re-created in the tools we build. Applicants will be judged by a committee of Mozilla staff and former fellows, and they’ll be accepted through August 1, 2018. Winners will be announced during MozFest, held October 26-28, 2018.